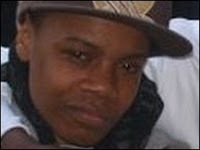 Most readers of this blog will be aware of the terrible stabbing in Larkhall Park at the end of April which resulted in the death of 16 year old Oluwaseyi Christopher Sunday Ogunyemi (known as Seyi). It will come as little surprise that this was as a result of gang violence, and a suspected revenge killing for earlier incidents on the Lansdowne Green estate and also in a neighbouring area. The sad truth is that gang violence is something that affects a particular section of community - mainly young black men. We shouldn't be frightened to acknowledge that, and that means we need a new emphasis on tackling the root causes of gang violence - often it is the lack of alternative opportunities (such as in education or employment) that create the seeds for gangs to flourish. But as important, we shouldn't shrug our shoulders and say it doesn't affect us if we aren't in that particular section of the community. It is the responsibility of everyone in our community to tackle this problem. That can simply mean reporting any information you have to the police (you can call Crimestoppers anonymously on 0800 555 111). It might mean trying to build bridges in our neighbourhood. We have some very active community groups in Stockwell - but they tend to be divided between wealthy street properties and estates. It would be great if some of these groups could build the kind of links that would share best practice and ideas that would benefit both. These ideas wouldn't solve gang violence on their own, but they might begin to break down some barriers of prejudice and fear. Of course we mustn't be paralysed by fear. On the whole, Stockwell is a safe place to live and work, and has been getting safer in the past years. As a local police chief told Your Local Guardian, the police and Lambeth council have begun to work on initiatives to tackle the gang violence that led to so many murders in 2007. Seyi's death was a tragedy, and it should never have happened. But hopefully if something positive can come out of this - it is not only that his killers will be brought to justice, but that our commuity can respond with something innovative and hopeful.